The city of Buffalo has been shaped by such masters as Frank Lloyd Wright and encompasses many outlying communities that have grown up to be their own entities. 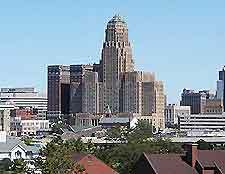 There are several interesting areas and districts within Buffalo city, including Allentown and the Theater District, where shopping and entertainment are in plentiful supply. Similar to New York City's Greenwich Village, although a lot smaller, Allentown is focused on Allen Street and is on the National Register of Historic Sites. Situated to the north Buffalo's downtown district, the area is loaded with galleries and restaurants, making it one of the most cosmopolitan areas of the city, known for the popular Allentown Art Festival. The culturally exciting Theater District is also situated nearby. 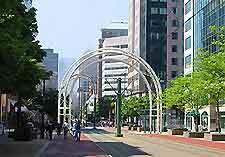 Niagara Square lies at the heart of downtown Buffalo and part of Main Street is pedestrianized. Much of downtown has been renovated and there are now many charming streets and upscale restaurants, especially on Delaware and Elmwood avenues. 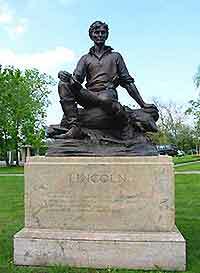 The main sights in downtown are the McKinley Monument and the attractive City Hall. Guided tours are the best option for getting a good insight into the bustling Buffalo Theater District, which covers 20 blocks in downtown Buffalo, centered on Main Street. The area has a profusion of performing arts venues, galleries, restaurants, bars and nightclubs as well as popular attractions such as Shea's Performing Arts Center and the Wilcox Mansion. 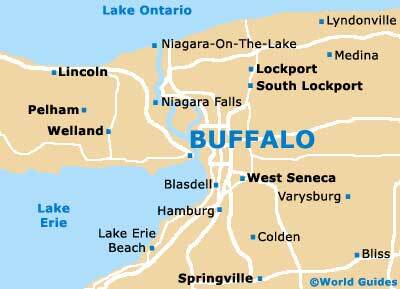 Located to the north of downtown Buffalo, North Buffalo is synonymous with affluent neighborhoods, shops and restaurants, and is also the district that contains the city's best park, Delaware Park. Home to large railway yards as well as historic landmarks, Buffalo's Lovejoy Neighborhood is located along Bailey and Lovejoy streets, to the east of the city center and is becoming more and more popular to visit. It also goes by the name of Iron Island, due to its rail connection.